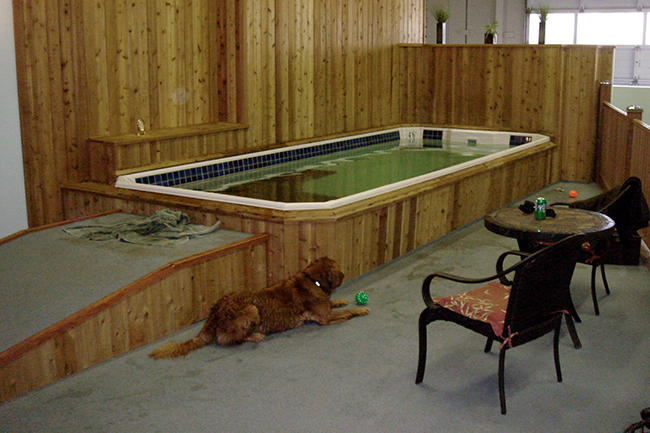 Constructing swim spas with canine hydro-therapy in mind is one of our specialties. We are proud to support this health-promoting activity that lets dogs take advantage of the therapeutic benefits of a swim spa. 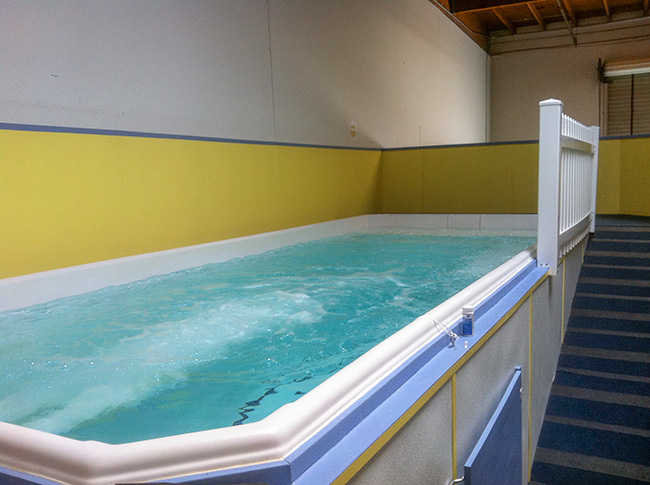 Just a few years ago canine hydrotherapy was thought of as somewhat unusual, but today these facilities are common. Veterinarians often prescribe canine hydro-therapy for hip dysplasia, joint problems, post surgical rehab, arthritis, or to help control obesity. A dog is almost weightless in water with the pressure of the water helping to stabilize joints which allows for a gentle workout. Weight bearing forces are decreased and the dog can use all its muscles doing stretching as he swims, building muscles and strengthening ligaments. The therapist or owner enters the water with the dog, helping guide him into exercising the right parts of his body. Fearful dogs can be cradled or sat with until they are ready to go further. Heavy dogs can be placed in a special lift to lower them into the water. Physically challenged dogs can use flotation life vests. The dog can swim in calm water or against the resistance jets of a swim spa, increasing stretching and strengthening, depending on their particular needs. Remember to consult with your pet's healthcare provider prior to any physical therapy regimen. Why Elite for a Canine Hydrotherapy Swim Spa? We understand the subtle but important design differences between building a swim spa only for humans versus building one with canine users in mind. Requesting a canine-friendly swim spa from Elite means better accessibility and comfort for the spa's four-footed users, as well as greater ease of operation and maintenance. 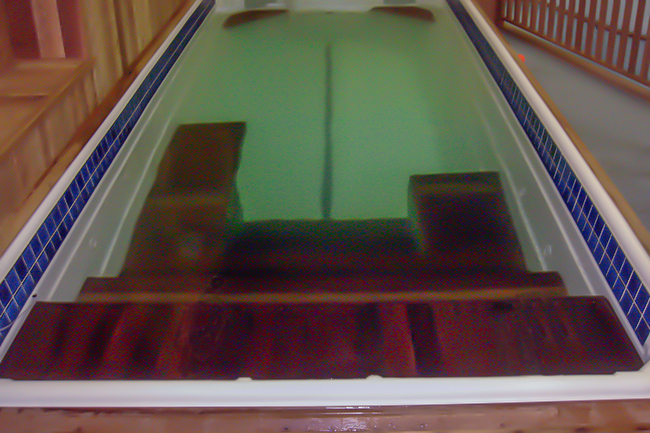 Since we often build entire decks or do other major renovations, we are in a position to help you prepare the space around the swim spa, whether for private use by your own dogs or for your commercial canine hydro-therapy business.